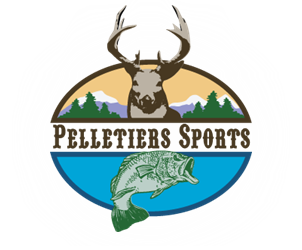 Firearm Sales Policy - Pelletier's Sports Shop Inc.
Due to the vast number of firearms that we stock, keeping all items listed online isn’t possible. If you’re looking for something and can’t find it in our online shop feel free to call us at (603) 532-7180. Any firearm that is purchased online must either be shipped to a licensed FFL or picked up in store. Handguns are required to be shipped to an FFL in your state of residence for pickup. The buyer of a firearm is responsible for any transfer fees charged by an FFL holder. If you are using an FFL for the transfer of your firearm please be sure that your order number is included with the FFL. Pelletier’s Sports Shop Inc. is not responsible for any delay in shipment due to an improperly referenced FFL. Firearms must be purchased individually, with no other products. You will not be allowed to complete the checkout process if you try to purchase a firearm with other products in our online store. If you need to purchase other products, please place an additional order. This limitation is due to policies related to our third party payment processing providers, we apologize for any inconvenience. If you are looking for a caliber of firearm that we do not currently have in stock online please give us a call at (603) 532-7180. We are continuously ordering new firearm stock and we’re more than happy to order your preferred caliber or model. All ammunition orders will be shipped UPS Ground. UPS does not deliver to PO boxes so a physical address will need to be provided for delivery.